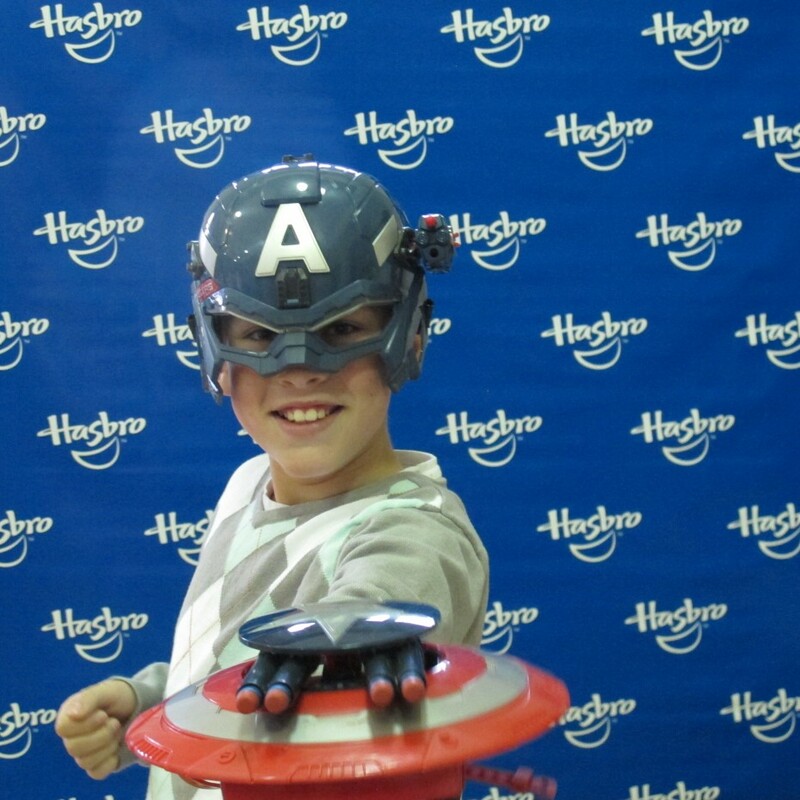 Nate is holding the Marvel Captain America Super Soldier Gear Stealthfire Toy, $19.99. It not only acts as a shield but has a hidden missile launcher that comes with 4 darts. The Helmet is the Marvel Captain America Super Soldier Gear Battle Helmet, $19.99. It also has two missiles and a missile launcher attached. My guys both love these toys and they are a nice holiday pick for the Marvel superhero fan in your life. 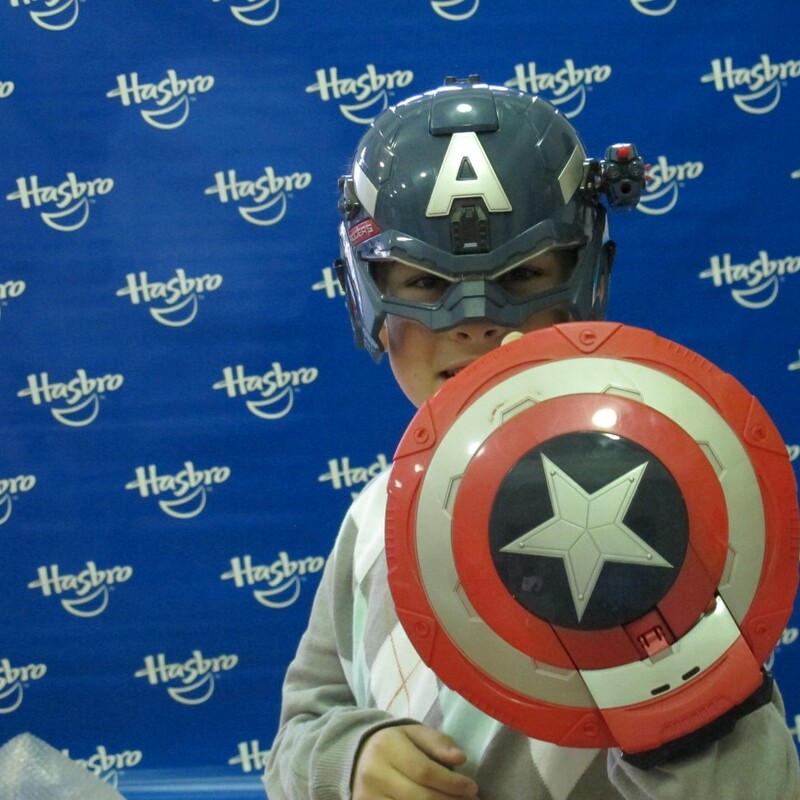 Now that is one cute Captain America!!! He should be hired by Hasbro!!! So Handsome!! !